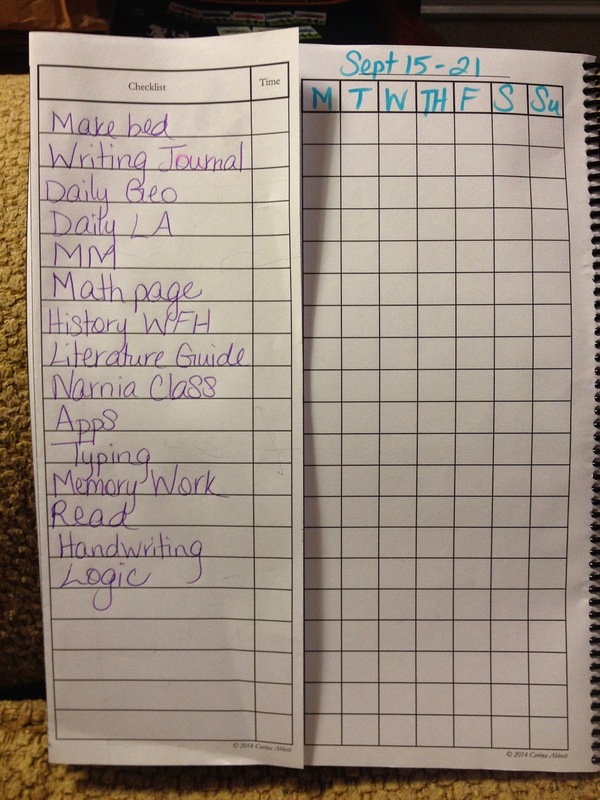 This year one of my goals was to utilize student planners in our homeschool. I need my older two to be a little independent in completing their work with fewer reminders from me. 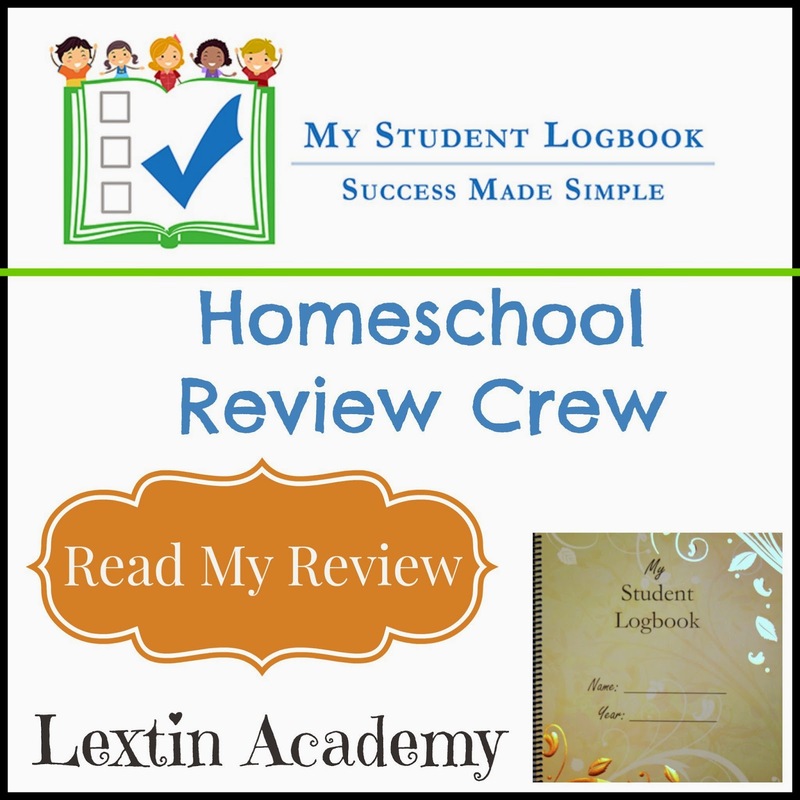 Therefore, I was thrilled to receive a daily student logbook from My Student Logbook to review in our homeschool. We found that this product streamlined our to-do list! My Student Logbook is a family-owned company. It was started by a homeschool family of soon-to-be 9 children who needed a better system for organizing checklists and helping students become independent in creating work. 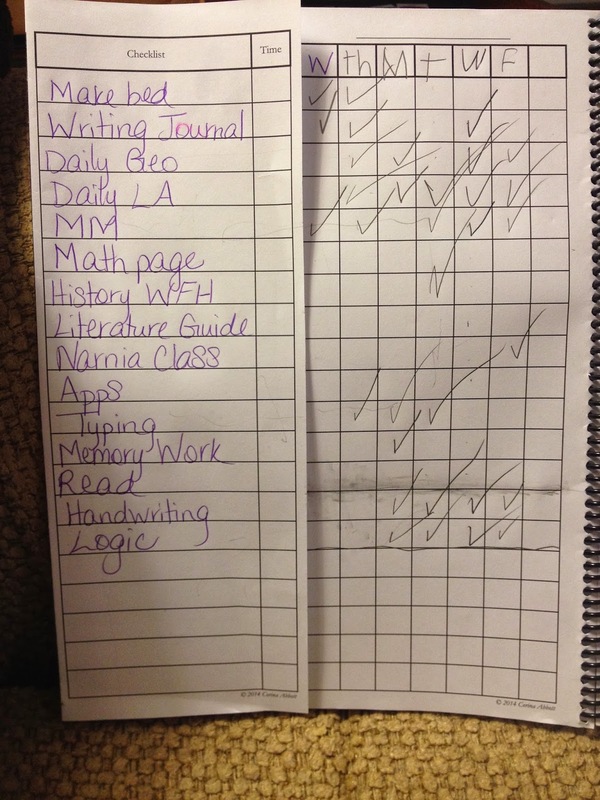 In order to stay on task and remain organized in homeschooling, the mom found a simple way to streamline planning through the student logbooks. The daily student logbook comes in a variety of cover choices. You can also choose a dated logbook (August 2014-July 2015) or choose an undated version where you can write in your own dates and months. The logbook is ideal for students in 2nd grade or older who are ready to tackle some independent work. 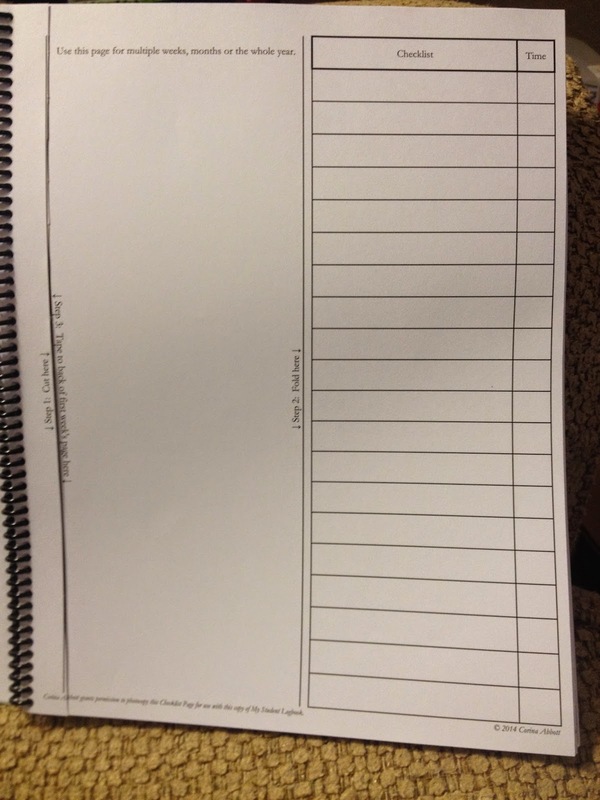 The logbook contains blank checklists with rows to add tasks and a section to include the time spent on each task. The calendar pages include a column for each of the 7 days in a week. The top has a line for writing the date of that week across the top. Then each row has a box for a check mark for when a task is complete. The back of the logbook contains a few extra pages as well. There is an About Me page to include fun facts about the student. There are pages to record prayers and goals, Bible verses memorized, books read, and projects, field trips, or activities. The last few pages have spaces to write test records and add highlights from the year. I asked for an undated logbook because we begin our school year in September rather than August. I knew a dated logbook would throw me off with my planning. And filling in the dates was a simple and easy thing to do. I also chose the Golden Vines cover for Curly who I knew would appreciate the sparkles. This logbook was all for her, my 3rd grade student! My goal this year has been to start her on a path to independence in completing some of her assignments. I was so tired of reminding her to finish her math pages or work in her geography workbook. And, quite frankly, she was tired of hearing my reminders. She and I both wanted a simple checklist to help her with daily reminders. Initially I was writing out the assignments in her planner every day. This was tedious and time consuming. Tear out a checklist page and cut along the dotted line. Then fold on the line with the checklist facing out. Wrap the folded checklist around the first planning page and tape the checklist sheet to the back. As you progress to new weeks you simply fold the checklist over the new page, to include all the previous pages as well. This means that you have the same checklist with a new blank calendar page. The Checklist sheet has two columns, one for the task and another for time. In this spot you can record the amount of time that needs to be spent in a task (20 minutes for piano practice). Once this checklist is folded over the first planning page, you can write the date of the week at the top of the page. Then there are 7 blank columns that line up to the rows on the checklist page. After writing the days of the week across the top, Curly was able to check off her tasks each day. One thing that was recommended on the website that I found valuable was to include stars by certain tasks. These are the tasks that must be done even in an abbreviated school day. This was helpful to me because I sometimes have planned field trips or shortened school days in which we don’t do every task. But with the starred tasks, Curly could know which ones were priority on our shorter days. Once the checklist is set up, it can be folded over numerous times to line up with later weeks so that you don’t have to rewrite tasks. However, if you find that the checklist needs some major changes, you can simply tear out a new one and tape it to the back of the next page and begin another week with an entirely new checklist. I loved that the logbooks are simple to use. I didn’t have to read through complicated instructions or try to figure out a complex system for tracking tasks and goals. No, I simply wrote the checklist on the first blank page and then taped it to the calendar page, folding it over to match up the rows. Then I was ready to use the logbook. The ease of use meant that the logbook was actually used on a daily basis. It was a system that I could maintain over the school year because it was simple. I appreciated that I did not have to rewrite daily tasks on a planner page every single day. This was a struggling in using a regular student planner with Curly. There were some tasks that were daily tasks, but if I didn’t write them in her for, she would invariably forget to do them. So, I felt obligated to write out the same lists every single day for her. With the logbook, I created one checklist that could be used for weeks or months. Then she could easily check off each task daily. The logbook is spiral bound and I liked that all my planning pages were kept together. Within the logbook were all the pages to record the work we completed that year. At the end of the school year I can look back through the logbook and see what was accomplished during the year. I thought it was brilliant to have a fold over checklist that could be folded over additional pages to transfer that same information to later weeks. 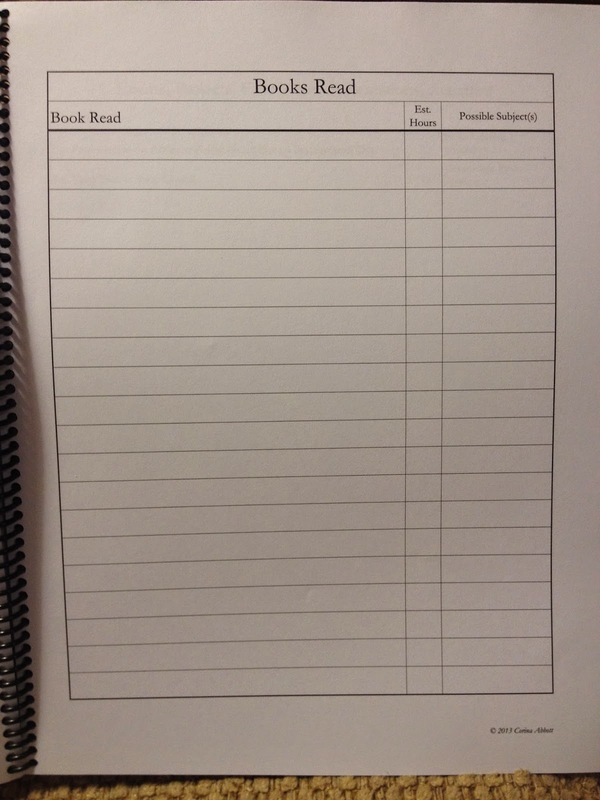 Yet, it was easy to create an entirely new checklist at any time with the blank checklist pages that could be torn out from the front of the book. I loved the versatility of the system. It was easy to create and just as simple to change if we changed curricula or altered our typical daily plan. Curly loved her logbook. It was easy for her to clearly see what needed to be done. She also loved putting her little check marks in each of the daily boxes. It was very helpful for her to see the daily expectations and gauge how much time she needed to set aside for her school work each day. It eliminated me reminding her of tasks and it helped her take responsibility for her own work. What made this logbook useful to me was the simplicity. The pages are blank and uncluttered. 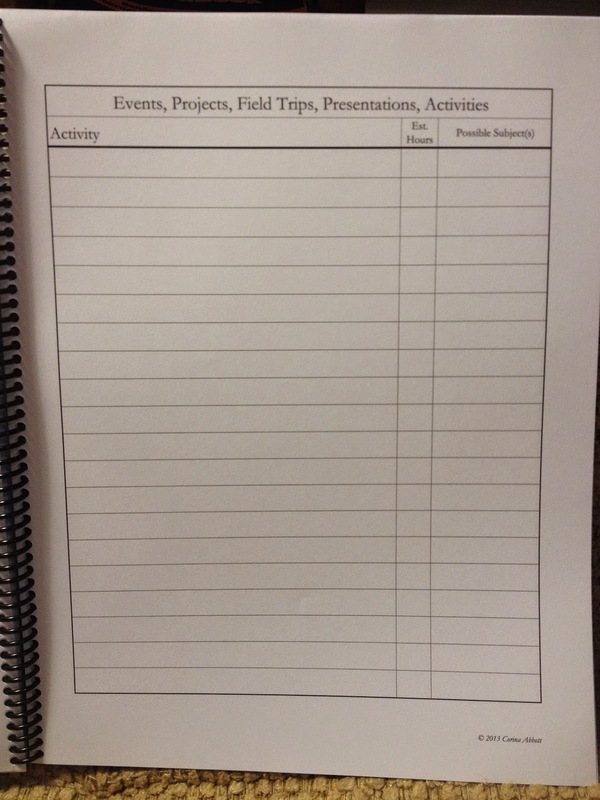 I could customize the checklist and calendar pages to fit our curricula and our school year. It was easy to fold over the checklist pages to a fresh week and have a daily reminder of all the tasks that needed to be done. Best of all, it was used daily by both Curly and myself. It kept her accountable and saved me so much time. I’m so glad I found this logbook at a time when I was just branching out into independent work in our homeschool! Spiral bound logbooks can be purchased for $15 in a variety of cover choices. You can also purchase a PDF download for single use for $10 or family use for $20. You can find them on social media here!